Open night: Improve your wellbeing with singing! Monday, 25th February, 7.30pm, Wilton Bowling Club, 122 Wilton Road. 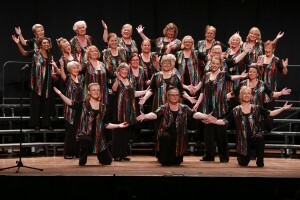 Capital Harmony Chorus invites women singers to its open night on Monday, 25 February. “Singing is known to improve your wellbeing, so this year why not try singing with a group of like-minded women?” says Chorus Director Joanne Oliver. Capital Harmony Chorus is a 24-member women’s acapella group which meets weekly at Wilton Bowling Club. It’s opening its doors to newcomers for an open night, followed by a four-week introduction. “Come and learn some new songs with us and see if this style of singing is for you,” Joanne says. Our 2018 show, on 1 September at Khandallah Town Hall, featured moody hues, colourful characters and we celebrated the beauty of our wonderful world in barbershop style. The matinee and evening shows were well received by young and old. Three women stayed the course of our Term 4 learn-to-sing-accapella Christmas course and sang with us at our Make a Joyful Sound concert on Sunday, 4 December 2016. We presented a concert of a range of traditional and modern Christmas – and other uplifting – music. We were joined by Felicity Baker and her pupils – the FAB Music Cellists. A wonderful end to the year. 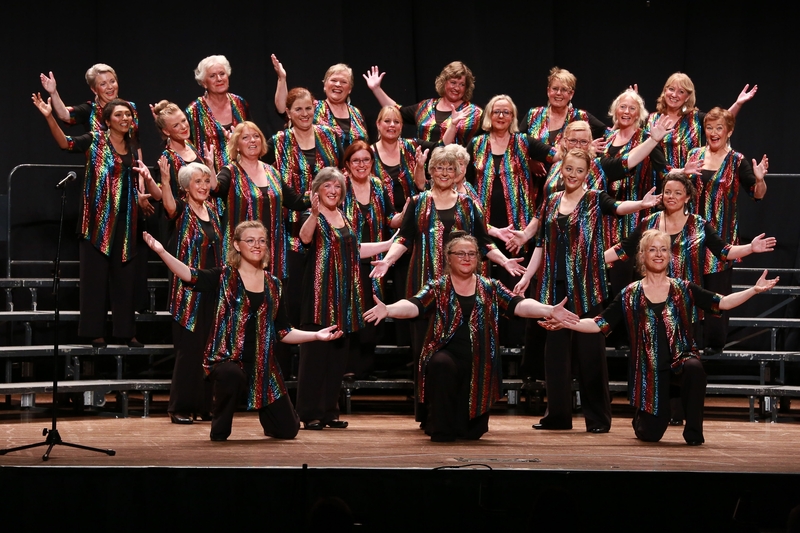 Success at Sweet Adelines National Competition! Capital Harmony Chorus won the Chorus Audience Choice Award at the Sweet Adelines National Competition held in Wellington on 30 April 2016. We presented an entertainment package of three songs with the theme of aspects of lives of women. The songs were: Man I Feel Like a Woman (Shania Twain); Nine-to-Five (Dolly Parton) and Mame (from a musical). “Not only did we win the Audience Choice Award but we were also pleased that our overall score went up a grade from the last time we competed which was two years ago,” says Chorus Director Joanne Olliver.